Walking on the mountain (Mont Royal) I found some patches of wild flowers. After our coldest April on record in over seventy years the flowers are finally emerging. 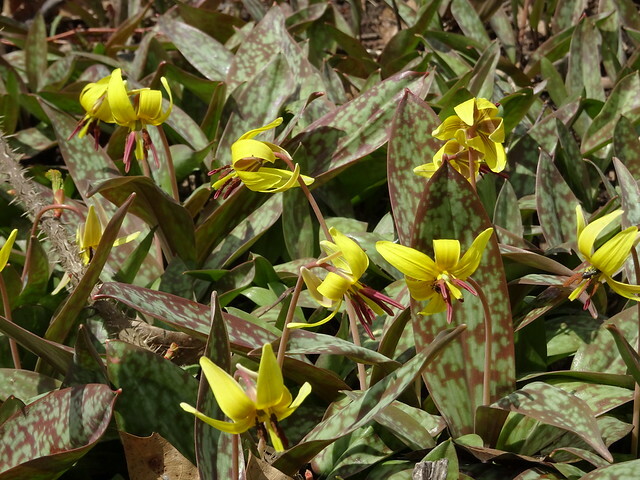 I have seen these identified as dogtooth violets and as trout lilies. If anyone knows which is correct (or is there a third option?) let me know. 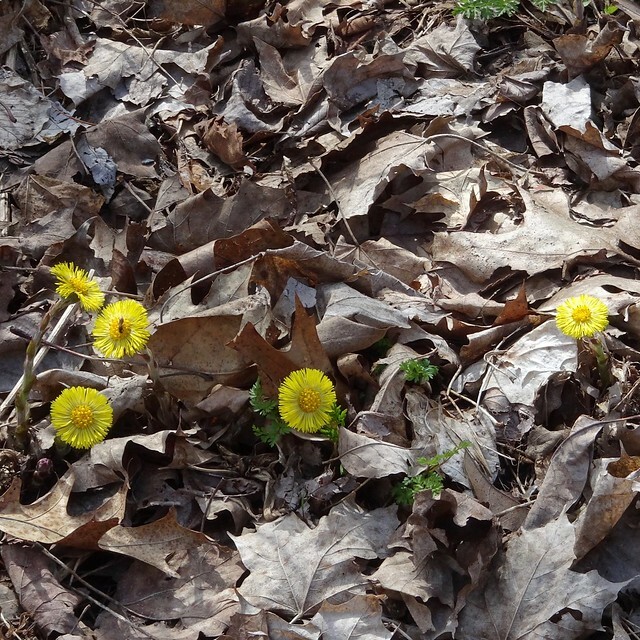 These bright yellow flowers could be seen poking through the dry leaves. The insects, too, are emerging. With temperatures returning to seasonal averages, the parade of seasonal flowers will march to a faster tune. Addendum: The official name for the flowers on top is Erythronium Americanum and the yellow flowers on the bottom are coltsfoot or Tussilago.